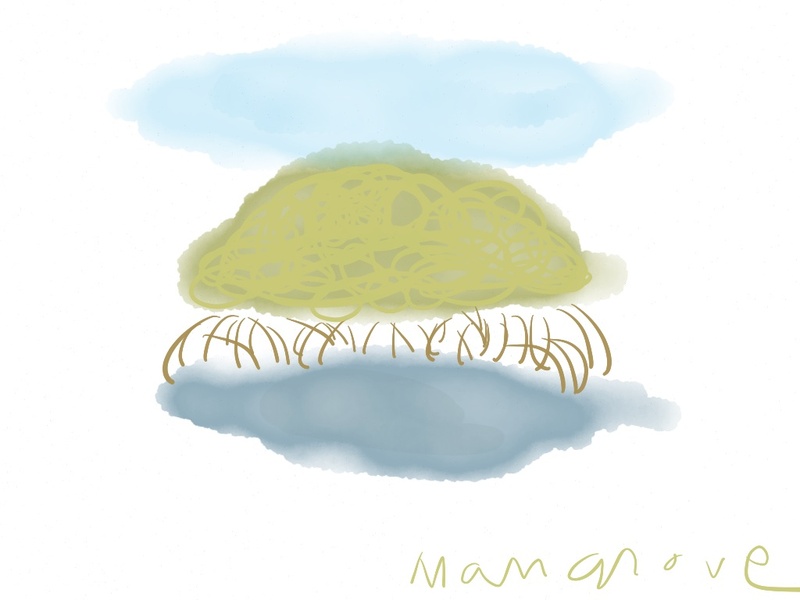 Florida mangroves created on a mini ipad. A simple trip to Florida is my cure for the wintertime blues. Creating art while traveling can be challenging between schlepping art materials and setting up. With the arrival of a new year I’ve been sketching on my ipad mini and exploring it’s capabilities and finding simple ways to express my thoughts visually. The portability and instant gratification is addicting. 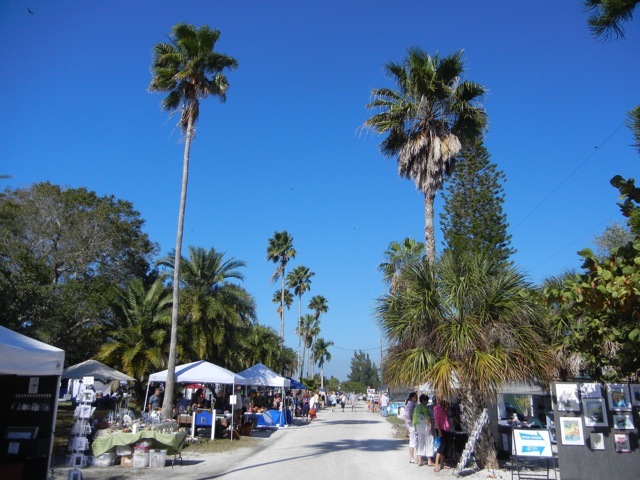 Although Art Basel it is Not-on specified Saturdays spend a sunny morning at the Placida Art Fair located in a lazy fishing village on the southwest coast of Florida. While there check out Joe’s Orchids-he’s truly a botanical artist and very generous with tips on growing orchids and bromeliads. Joe’s Orchids in the Placida Fishing Village. 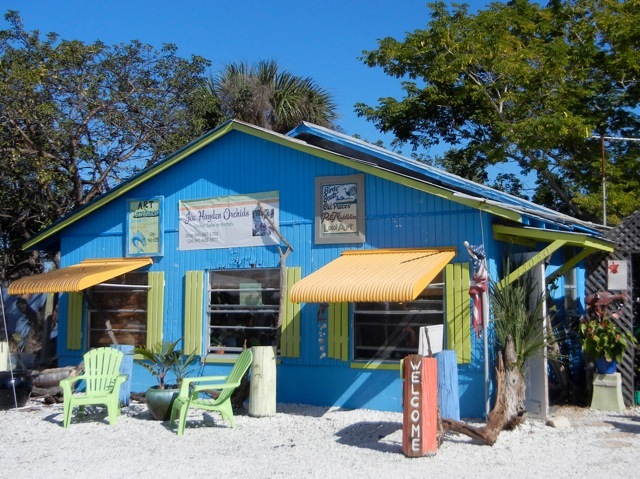 After getting your fill of the Placida Fishing Village have lunch or dinner at the Fishery Restaurant. It’s a local favorite that serves up tasty local seafood dishes with just the right amount of down home Floridian atmosphere. Get a table by the window and watch the sun set on another fine day in Florida. 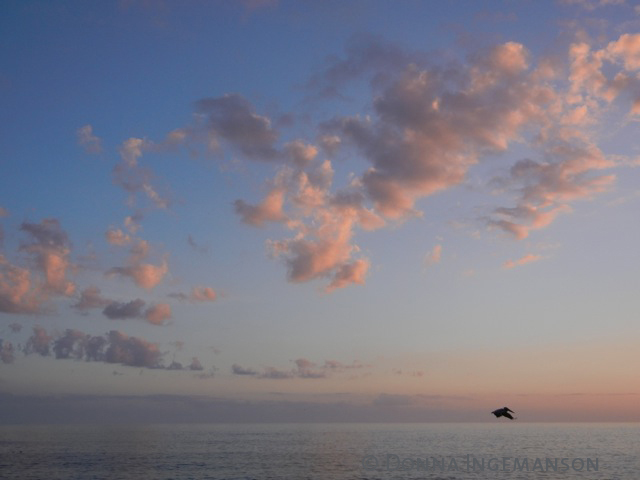 All image rights are reserved by Donna Ingemanson. You’re making me jealous too. I would love to talk to you about your ipad mini, and how you’re drawing/doing artwork on it. You’re right – it’s always such a schlep to bring along art supplies on a trip. Picking up the ipad and using the app ‘Paper’ was so intuitive. I even created sketches for a logo design while on the run that worked out really well. Try it! You are currently reading floating in florida at donna ingemanson studio.